ZIKAlliance is a multinational and multi-disciplinary research consortium comprised of 53 partners worldwide and coordinated by Inserm, the French National Institute of Health and Medical Research. 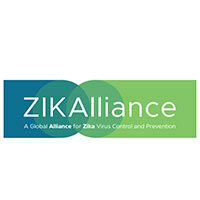 ZIKAlliance is funded by the European Union’s Horizon 2020 Research and Innovation Programme. The project will investigate clinical, fundamental, environmental and social aspects of ZIKV infection. In particular, ZIKAlliance will focus on the impact of ZIKV infection during pregnancy and the natural history of ZIKV in humans and their environment. In collaboration with two other EC funded consortia (ZikaPLAN and ZIKAction), ZIKAlliance will also work on the development of a preparedness platform in Latin America and the Caribbean.